Say hello to September! It may mean back to school for many of you, but for readers, it means OMG, all the books! 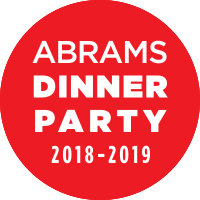 That's right, September is always a huge month for fantastic book releases, and this year you can expect many great reads coming your way. 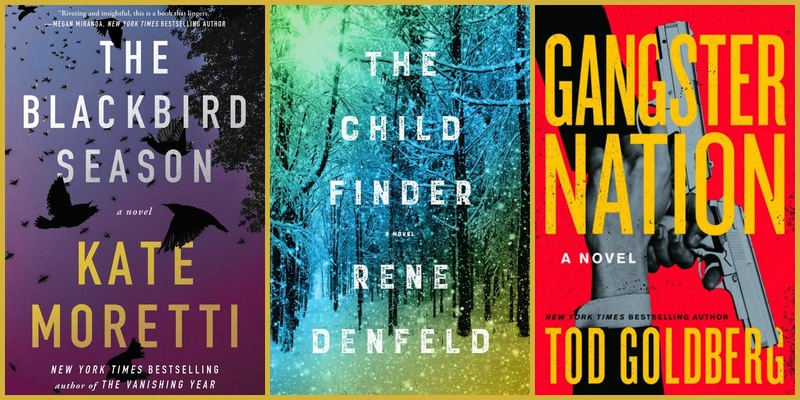 Here are 7 recommendations for crime fiction lovers. The Blackbird Season by Kate Moretti (Atria, September 26): When a well-respected high-school baseball coach is accused of having an affair with a troubled student, all hell breaks loose in the small town. But when the girl later disappears, scandal turns to possible murder. Does Coach have a secret life? Set in the Poconos, this mystery has earned much critical praise. 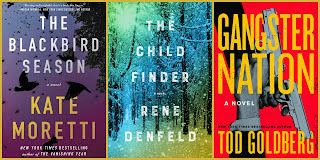 The Child Finder by Rene Denfeld (Harper, September 5): A desperate family turns to a private investigator known to be successful at locating missing children. But after three years, would their daughter (who'd be eight now) still be alive after she was lost in an Oregon national forest? The investigator has personal battles to fight while she's on the hunt for the girl. This suspenseful novel is an Indie Next pick this month. Gangster Nation by Tod Goldberg (Counterpoint, September 12): Feeling restless, a Chicago hit man who has reinvented himself as a Las Vegas rabbi wants a new life in a new country. He's got all his ducks in a row, ready to run, until a vengeful FBI agent and 9/11 topple his plans and put him and his family on the run. This follow-up to Gangsterland is noir crime fiction with a darkly humorous bent. Reviewers assure us that this book can be read as a standalone. 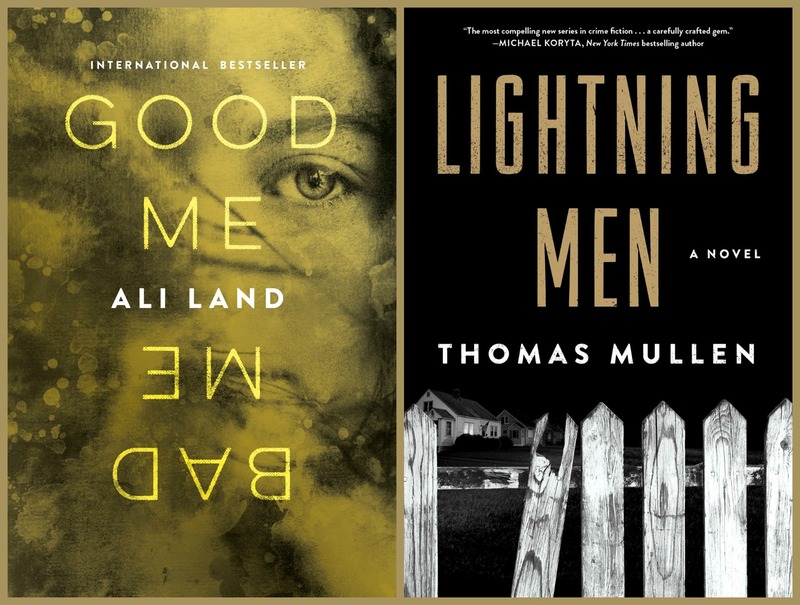 Good Me Bad Me by Ali Land (Flatiron, September 5): After a teenager turns in her mother for abuse and multiple murders, she's given a new identity and a new life with a wealthy foster family. Will she be good or will she be bad when she learns that a teacher may know her secret past and after her new sister turns out to be a bully? Reviewers love this psychological thriller. Lightning men by Thomas Mullen (37Ink, September 2): In the 1950s Atlanta is facing unrest and violence as all-white neighborhoods become racially integrated. Black and white police officers try to calm the waters and contain Nazi sympathizers, the KKK, bootleggers, and drug dealers. This sharply plotted police procedural gives us a frank look at issues that continue to plague America. 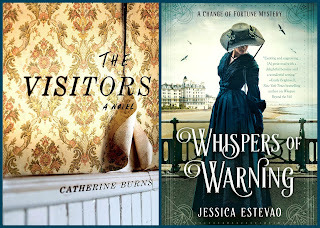 The Visitors by Catherine Burns (Gallery, September 26): A seemingly timid woman of a certain age has spent most of her life under the control of her domineering brother, ignoring whatever it is he keeps hidden in the basement. After his heart attack puts her in charge, she descends the stairs to discover his secrets and, perhaps, her own dark soul. This debut thriller promises to be creepy and disturbing. 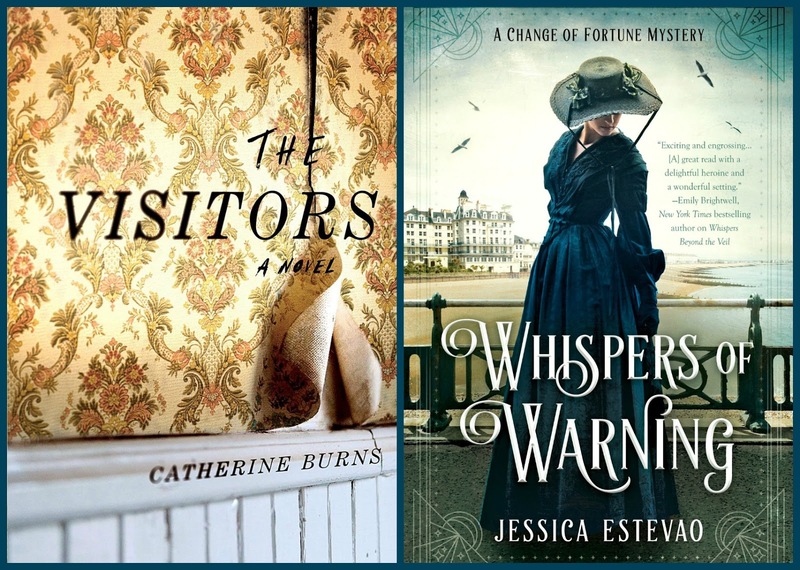 Whispers of Warning by Jessica Estevao (Berkley, September 19): When a strong-willed suffragette visits a coastal Maine vacation town at the turn of the last century, trouble is sure to follow. When the newcomer is found murdered, the local psychic is on the case. This delightful cozy mystery is well crafted, providing readers with a satisfactory escape into murder and mayhem in a beautiful setting. I read The Child Finder; it's good! I don't read thrillers and mysteries like I used to but I almost always enjoy them when I do. Thanks for the list. I like to turn to thrillers or mysteries as a break and a couple on your list have really piqued my interest. I think I'd like both The Child Finder and The Visitors. My October is looking slower, so hopefully then or maybe audio! Good Me Bad Me sounds pretty good. These all sound good. I am especially intrigued by The Visitors. Thanks for sharing. I am planning to sign up for RIP Imbibing Peril, but was stuck for some books to read. 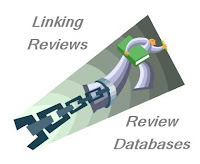 These are really interesting recommendations! i have been awaiting Gangster Nation ... Gangsterland was awesome and it turns out the sister of the author is a friend via Instagram ... so .... hooray for September and new reads!!!!!!! !